With age, everyone experiences significant changes in the skin and hair. This is more apparent for some individuals and the changes can be amplified by various factors. Francine Edmund Porter founded Osmotics Cosmeceuticals in 1993, delivering cutting edge cosmeceutical products to the market. 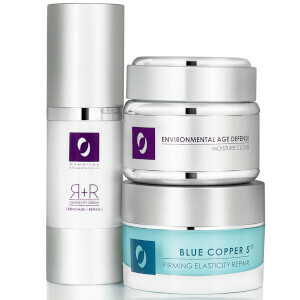 These products allow both men and women to address their skin and hair issues and rediscover a more youthful look. Osmotics cosmetics offer a range of treatment products for topical use. Today, Osmotics Cosmeceuticals continues to strive towards introducing innovative treatment products to the personal care industry. The company works in conjunction with leading scientists in order to discover new ways of addressing skin and hair aging. See our Q&A with Francine E. Porter, Founder of Osmotics Cosmeceuticals. Due to the commitment to science that is shared by the team at Osmotics Cosmeceuticals, the brand has revolutionized the skincare industry with many highly innovative products. 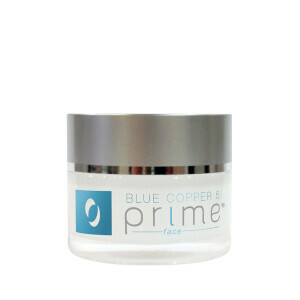 In 1997, the company introduced the first copper peptide complex, a cosmeceutical ingredient that is now widely used in anti-aging skincare because of its potential to both protect and repair tissue. The brand has also made key innovations in sunscreen, skin serums, cellulite treatment and moisturizers over the course of its history. Taking the best possible care of your skin with Osmotics Cosmeceuticals is incredibly easy, thanks to the simplistic approach to regimens that goes into each formulation. 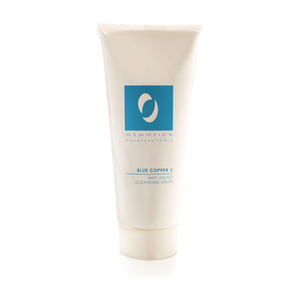 To start, select Cleanse products to eliminate the impurities that can irritate your skin tissue and clog your pores. 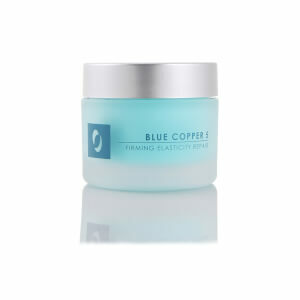 Then, use Correct products to help address existing imperfections on your complexion and body skin. Whether your concerns are signs of aging, rosacea, cellulite or another chronic skin issue, Osmotics Cosmeceuticals undoubtedly offers formulas intended to meet the needs of your skin and improve its appearance and overall health. 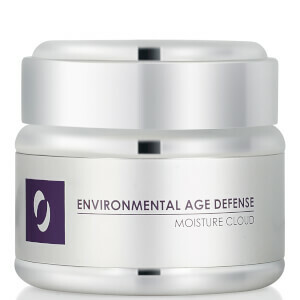 After the Correct step in the Osmotics Cosmeceuticals comes Defend and Moisturize products. These formulas help your skin maintain its natural defensive barrier to remain in the best possible health and also diminish the effects of free radicals in the environment to reduce oxidative damage. 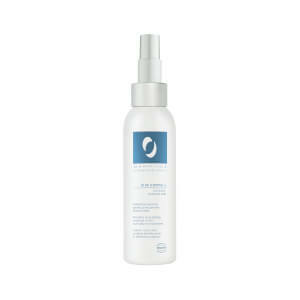 Lastly, apply one of the brand's Protect products to ensure that your skin receives necessary SPF protection. Start shopping the collection now and get on your way to healthy skin in four easy steps! Over the years, the individual products needed to meet the personal beauty care needs of the skin and hair change as specific issues arise. Exposure to environmental factors, the natural aging process, and individual genetic backgrounds all combine to create particular changes in the skin and hair. 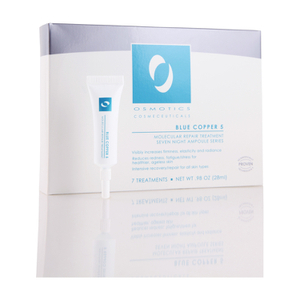 Addressing the needs that arise due to these changes in the condition of the hair or skin is at the forefront of the development of each of the available Osmotics Cosmeceuticals Products, proven solutions that deliver innovative treatments for specific personal skin and hair needs. Utilizing ingredients of the highest quality and efficacy, Osmotics Cosmeceuticals Products deliver a range of topical treatments designed to avoid irritation as they rejuvenate the skin and hair. Furthermore, each product includes only ingredients that offer specific capabilities. For healthier, more beautiful hair and skin, why not consider exploring the benefits of one of the following Osmotics Cosmeceuticals Products? 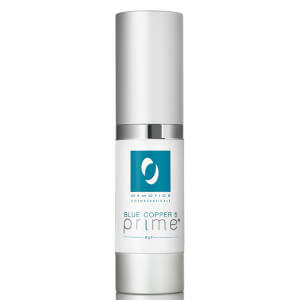 Improve the health of your skin and hair with one of the high performing Osmotics Cosmeceuticals Products. 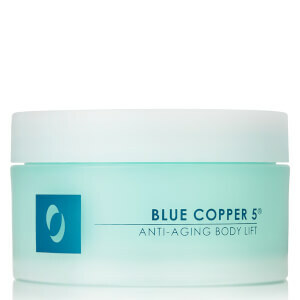 Offering a non-comedogenic formula, Osmotics Blue Copper 5 Firming Elasticity Repair is designed to enhance the firmness, tone, and elasticity of your skin. Improving the moisture levels, this anti-aging solution improves the appearance of your skin, creating a smoother texture that glows with renewed vitality. 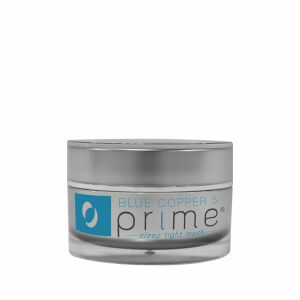 Delivering the benefits of a formula containing copper and the 5-chain Penta-Peptide, this advanced firming-repair solution is suitable for all skin types and does not contain any artificial fragrances or colors. 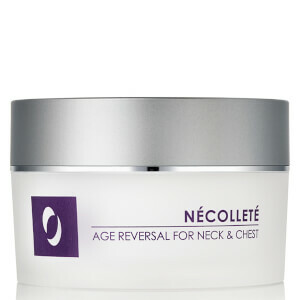 Delivering a fortifying formula that strengthens your skin's elasticity and tone, Osmotics Necollete Age Reversal for Neck and Chest firms up the area of the neck, chest, and décolleté. 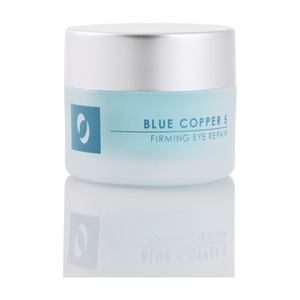 Strengthening your skin's collagen fibers through its inclusion of a unique peptide combination, this age-reversing solution creates visible signs of improvement in the appearance of this delicate area of the skin after regular use of this product for approximately one month. Offering a high performing selection of three formulas designed to improve the appearance of fine, thinning, or chemically damaged hair, the Osmotics FNS Collection includes one each of the following: FNS Revitalizing Shampoo, FNS Revitalizing Conditioner, and FNS Follicle Nutrient Serum in generous 6.8-oz sizes. The FNS Revitalizing Shampoo infuses essential vitamins, minerals, and natural botanicals into your scalp, inducing healthier hair growth. The lightweight formula of the FNS Revitalizing Conditioner delivers hair-strengthening proteins to your scalp, vastly improving the volume, body, and shine of your hair. Containing a unique blend of amino acids, minerals, and vitamins, the FNS Follicle Nutrient Serum promotes thicker, stronger hair growth.